Rejuvenate the skin with the Mulberry Vanilla Body Butter from KORRES. 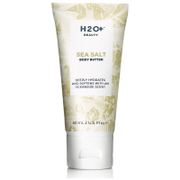 Designed to nourish, the rich butter effortlessly melts into skin, resulting in a soft and smooth surface. Enriched with a hydrating blend of Shea Butter and Quince extract, the formula delivers intense moisture to meet the needs of dry skin. The body butter also boasts a combination of Sunflower, Avocado and Almond oil, which work in synergy to nourish the body, whilst helping to visibly improve skin’s elasticity. Ideal for chapped skin, especially stubborn dry areas such as the elbows and knees, the formula instantly moisturizes to leave skin comfortably hydrated. Fragranced with a blend of tropical fruits that melt into a warm aroma of vanilla, the skin is left smelling exotic. Dermatologically tested. May contain traces of Nuts/Wheat. Vegan Friendly. Free from Petrolatum, Mineral Oil, Silicone, Parabens, Phthalates and Animal Testing. Body butter can be used all over the body, or is ideal for dry elbows, heels and knees. 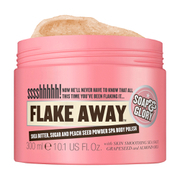 Best when applied to warm, damp skin, after bathing to lock-in moisture. This shea butter moisturizer is perfect for layering with Mulberry Vanilla natural shower gel. Water (Eau), Cetearyl Alcohol, Prunus Amygdalus Dulcis (Sweet Almond) Oil, Glycerin, Coco-Caprylate/Caprate, Dicaprylyl Carbonate, Helianthus Annuus (Sunflower) Seed Oil, Dicaprylyl Ether, Squalane, Butyrospermum Parkii (Shea) Butter, Persea Gratissima (Avocado) Oil, Cetearyl Glucoside, Fragrance (Parfum), Ceteareth-33, Xanthan Gum, Benzyl Alcohol, Phenoxyethanol, Imidazolidinyl Urea, Potassium Sorbate, Lactic Acid, PEG-8, Alcohol, Tocopherol, PEG-40 Hydrogenated Castor Oil, Ascorbyl Palmitate, Vitis Vinifera (Grape) Seed Extract, Pyrus Cydonia Fruit Extract, Ascorbic Acid, Citric Acid.